Due to its data handling and modeling capabilities as well as its flexibility, R is becoming the most widely used software in bioinformatics. R Programming for Bioinformatics explores the programming skills needed to use this software tool for the solution of bioinformatics and computational biology problems. Drawing on the author’s first-hand experiences as an expert in R, the book begins with coverage on the general properties of the R language, several unique programming aspects of R, and object-oriented programming in R. It presents methods for data input and output as well as database interactions. The author also examines different facets of string handling and manipulations, discusses the interfacing of R with other languages, and describes how to write software packages. He concludes with a discussion on the debugging and profiling of R code. 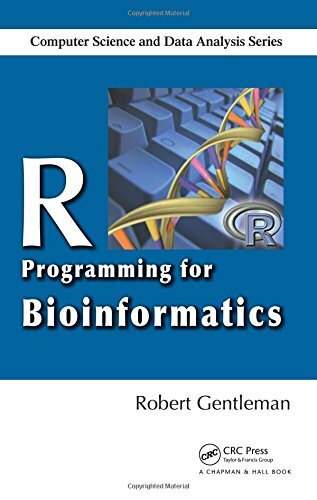 With numerous examples and exercises, this practical guide focuses on developing R programming skills in order to tackle problems encountered in bioinformatics and computational biology. If you have any questions about this product by Brand: Chapman and Hall/CRC, contact us by completing and submitting the form below. If you are looking for a specif part number, please include it with your message.